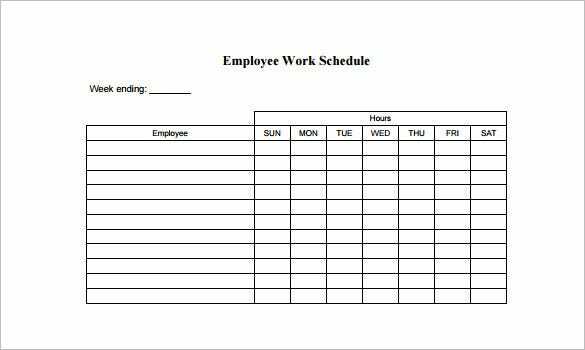 Employee Schedule Template – 9+ Free Word, Excel, PDF Format Download! For a company to do well, it is important to plan out the schedule of all the people who work in it well in advance. A company therefore makes plans for all its employees belonging to different fields of work to ensure that they finish their work on time and get done with their tasks with precision. 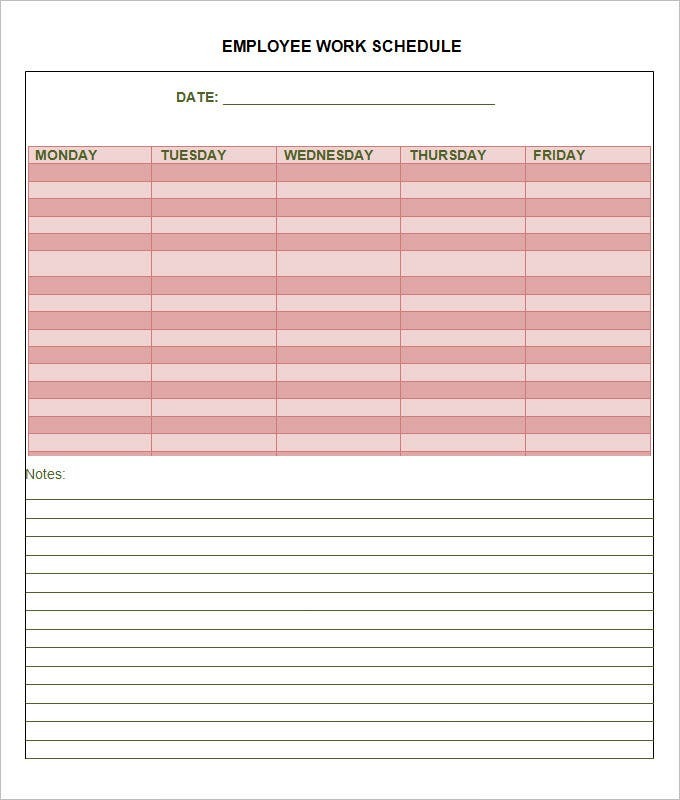 You can Also see Preventive Maintenance Schedule Templates. uc.edu | You are getting a daily employee hourly work schedule here that will run for a whole working week- from Monday to Friday. It also has a column for special comments. towson.edu | You are getting 2 sets of daily schedule for 2 weeks here. It is a detailed schedule which will let the employee enter hours for start, lunch timing as well as time of daily retirement from office. 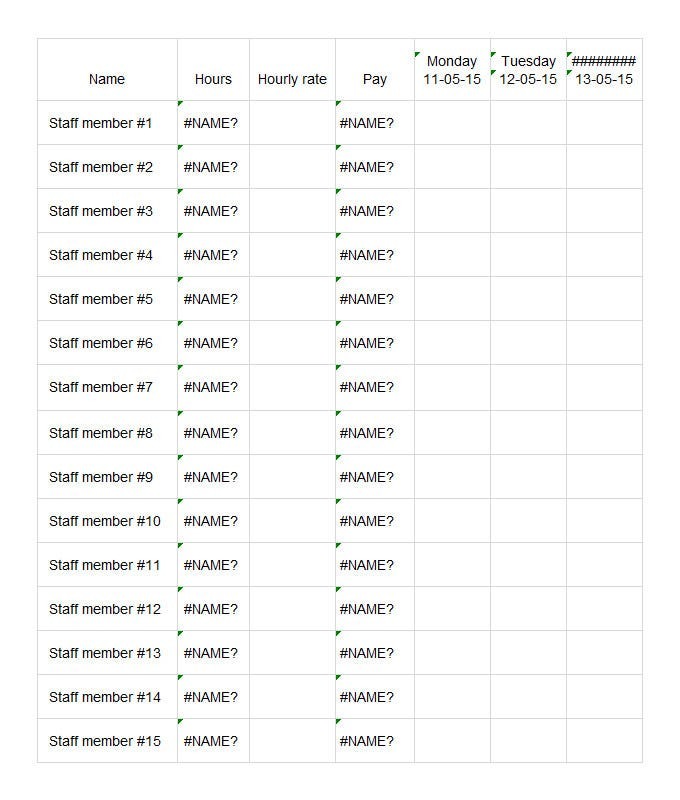 This particular employee work schedule could be used for multiple employees. It is divided into 2 major divisions- on hand you will write the name of the employees and other hand the hours worked each day. 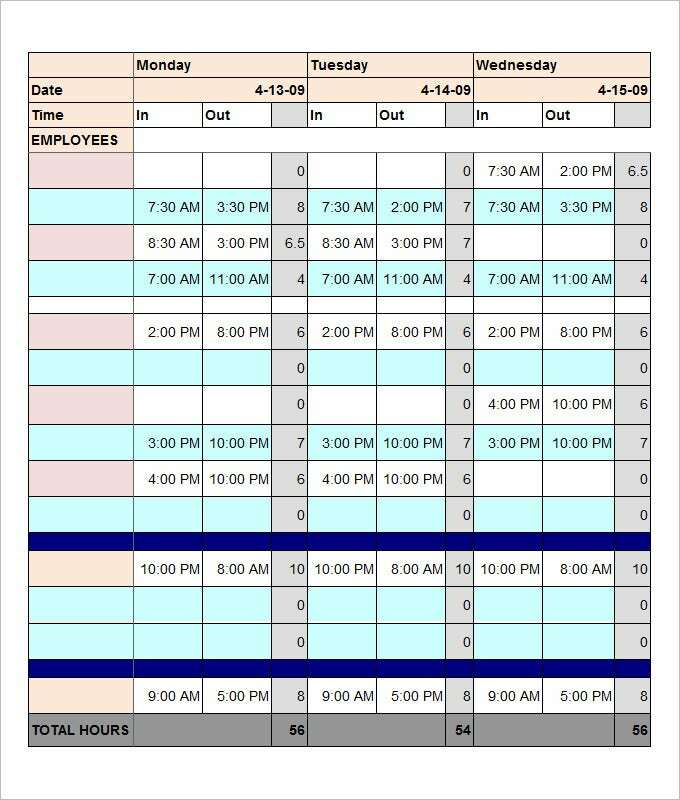 This hotel employee shift schedule template is divided into several columns. It starts with a column for employees and then goes on to include the hours worked from Sunday-Saturday- and the last column is for total hours worked every week. 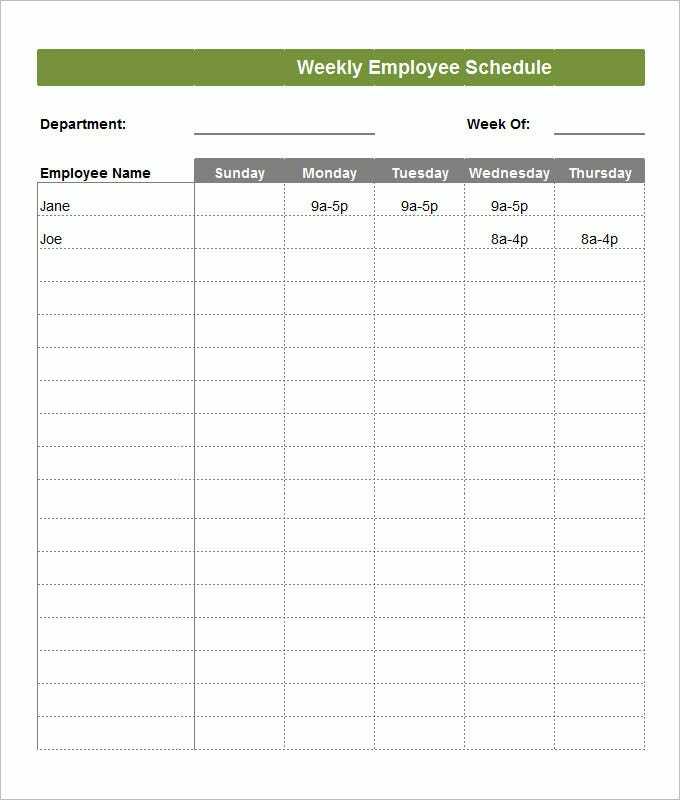 This blank employee schedule template will enable you to document information for 15 employees. You are not only allowed to mention the hours worked by the employees but also their hourly rates & pay. 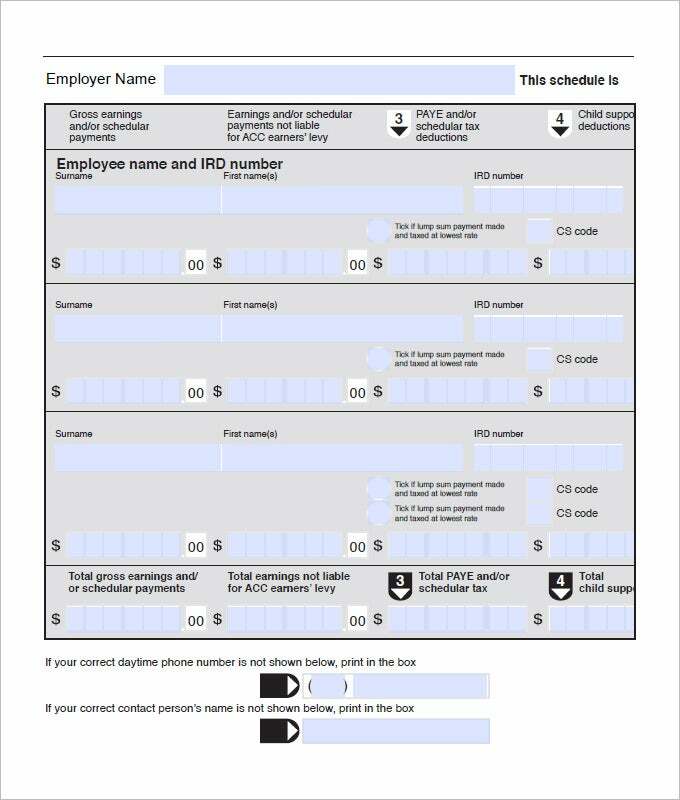 This employee work schedule will enable you to record the total hours worked by your employees each day by noting their arrival and departure time in and from the office. 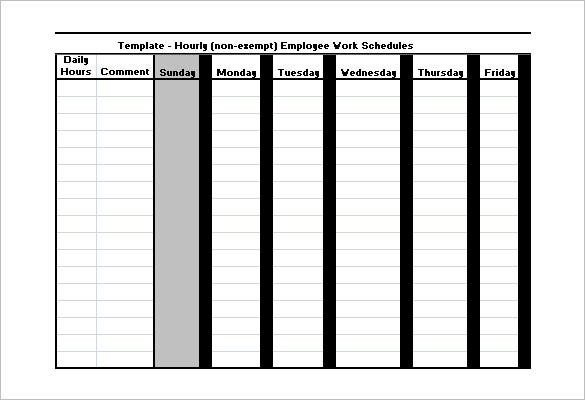 An employee schedule template is a schedule that a company designs for its employees so that they work according to it. It has become something of a norm for companies to plan their day and the work that they need to do by making employee schedules. 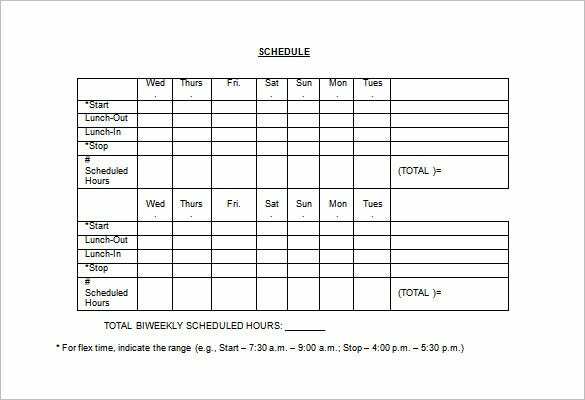 What does an Employee Schedule Template consist of? 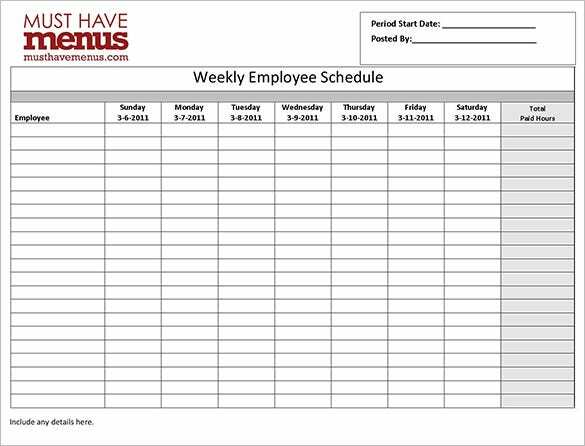 An employee schedule is undoubtedly a very handy piece of paper for a company – especially if your employee roll-call runs long. 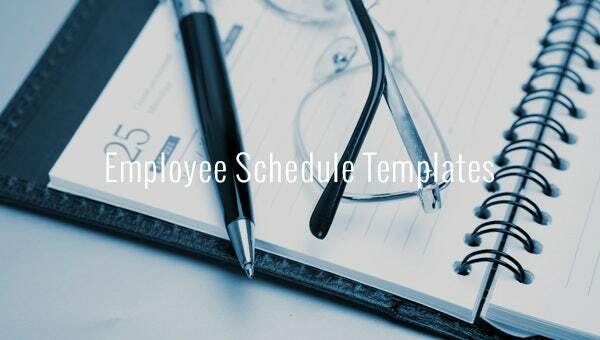 With the help of our compilation of employee schedule templates, you will easily be able to download and customize any of them and make them to match your company’s requirement. However, you acquaint yourself with the usefulness of a schedule before you download a sample. The details of the employee and the company are all listed out initially in the schedule. The schedule of the employee is then planned out by the company with a certain time period. We have collected wide range of Career related Plan Templates, hope these templates will help you.